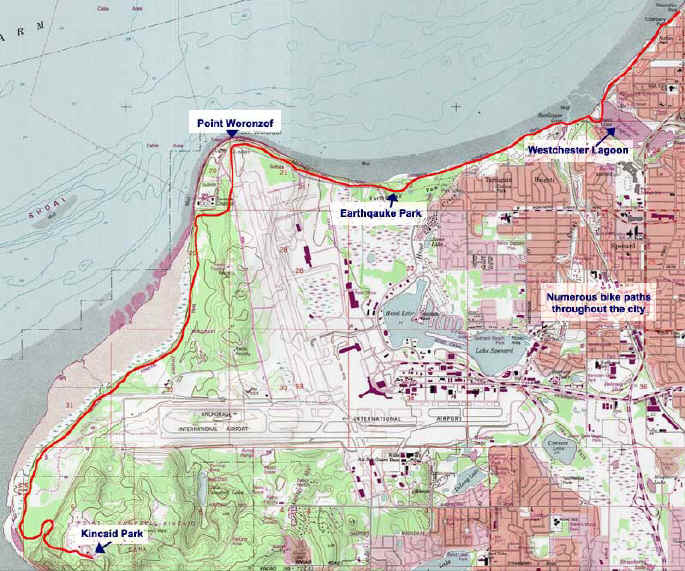 A map of the Tony Knowles Coastal Trail in Anchorage covers the perimeter of the city overseeing the Cook Inlet. An impressive sight of water, mountains, snow, birds and occassionally a moose or a bear. 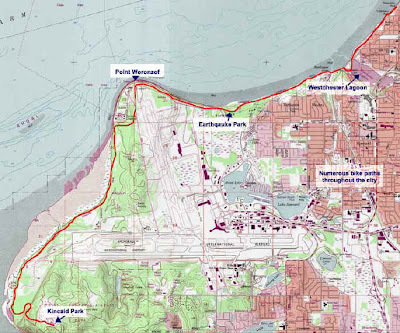 ﻿﻿ You can ride the approximately ten miles of coast on the trail while enjoying the views of the Knik Arm and Mount Susitna.